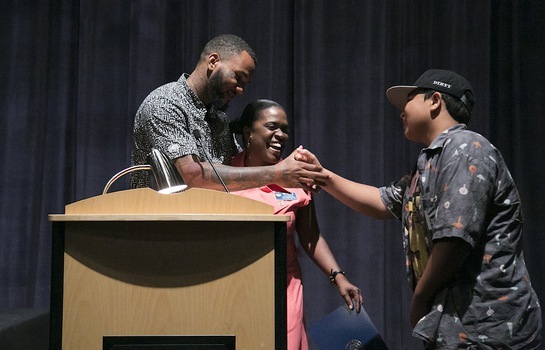 On Saturday, May 17th, The Bresee Foundation held its 9th Annual Youth Film Festival on Social Justice. The purpose of the Youth Film Festival is to inspire low-income high school students to think critically about issues impacting their community, and to make life-changing media posing solutions to the issue. Since its inception, eight years ago, 761 students have submitted 374 films that were judged by staff, civic leaders, and film industry professionals, awarding winners 169 camcorder packages as prizes. An impressive group of diverse judges with a wide-range of backgrounds and experiences were selected to view the submissions and decide which films will be screened at Fox Studios on May 17th. Festival Judges included rapper and actor The Game, actors Hill Harper and Wilmer Valderrama, President of The Ahmanson Foundation, William H. Ahmanson and U.S. Congresswoman Janice Hahn. 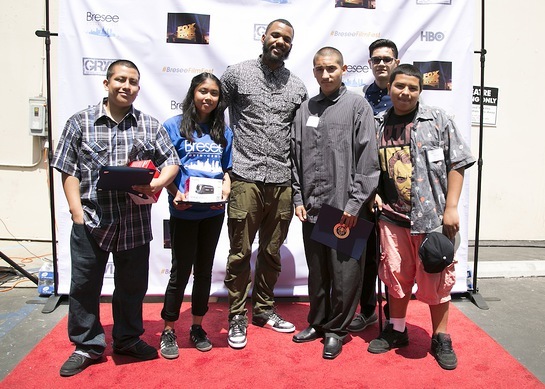 In addition to Fox Entertainment Group, Bresee Youth Film Festival sponsors included HBO, Gang Reduction & Youth Development (GRYD) and The Game’s Foundation, The Robin Hood Project.